Marca Corona has been crafting fine ceramic tiles since 1741, but that doesn't mean that their aesthetics are frozen in the 16th century! This Italian-based company sets the latest trends with their ever advancing techniques and cutting edge design inspirations! 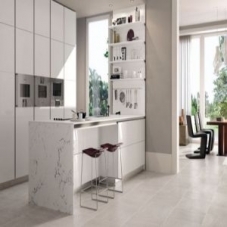 Their American subsidiary, Ceramiche Marca Corona, USA, is based in Bethlehem, Pennsylvania and carries all of the latest ceramic tile collections, from mosaics, to wall coverings and flooring tiles. EcoMoso loves how the enduring performance of Marca Corona ceramic tiles is fashionably faithful to classic styles, while being fearless in pioneering new concepts! 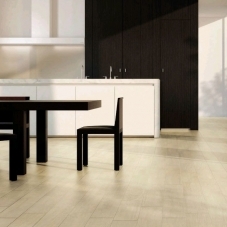 Just look at the wood look style of the Marca Corona Easywood Ceramic Collection for a glimpse of what ceramic can do for your home, office or retail space! Italians are known for doing a few things very well, like cooking, love making and fine art. Other things, like having an even temper, not-so-much. But one thing they should be known for and aren't given enough credit for, is how remarkably current and cutting edge their design can be! Find out for yourself how the rich culture and tradition that comes from centuries of fine art, beautiful ceramics and great architecture influences the look and feel of a contemporary, smooth porcelain tile. Sense the soothing texture under your bare feet even when you dash to the bathroom in the middle of the night! See for yourself how warm and glowing your home becomes when entertaining friends and family on sleek Marca Corona ceramic flooring. Appreciate how each perfect piece is intact, and hasn't been smashed in a heated argument at the factory in Italy over some remark... Because even the hot-tempered Italians respect the singular beauty of Marca Corona ceramic flooring!